Baby Z and I outside Dubai Mall, overlooking the Dubai Fountain. 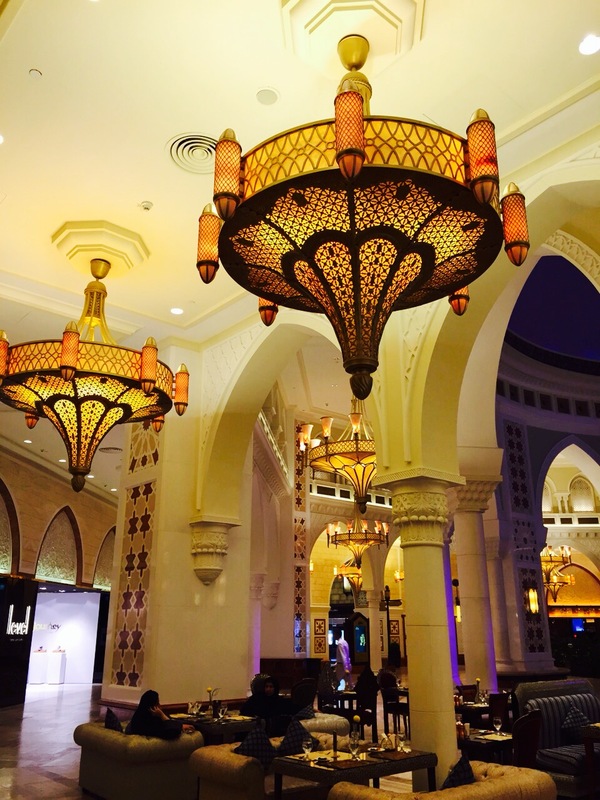 Last week, we headed off to Times of Arabia in Dubai Mall for a Lebanese Iftar. 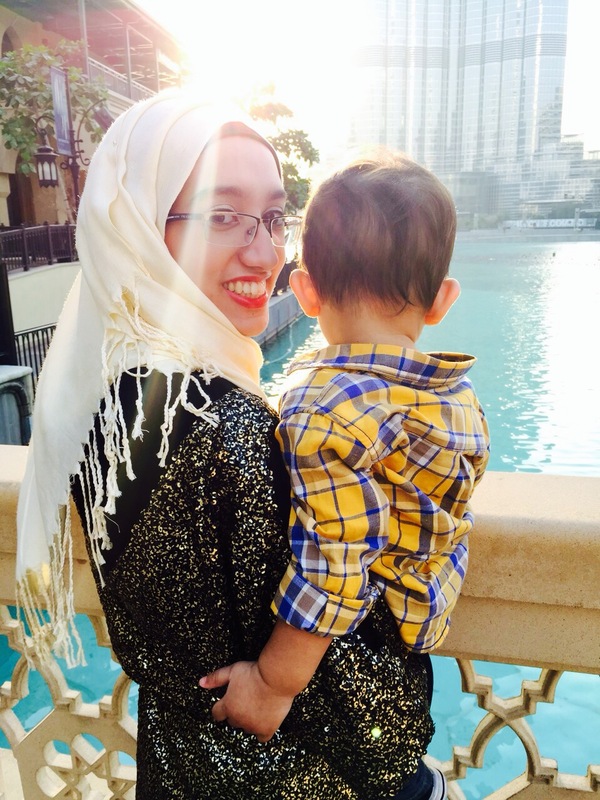 My husband, Baby Z and I stepped into an abnormally quiet Downtown Dubai, due to it being Ramadan. I don’t think I have ever seen Dubai Mall to be this empty, but it allowed us to get plenty of photographs without waiting for tourists to rush by. We headed in to take shade from the grueling summer heat and walked past all the restaurants that were waiting to open after Iftar, with their food items tucked away behind curtains and covers. We made the obligatory stop at the aquarium so that Baby Z could watch the sea life excitedly, before heading into The Souk, where Times of Arabia is located. 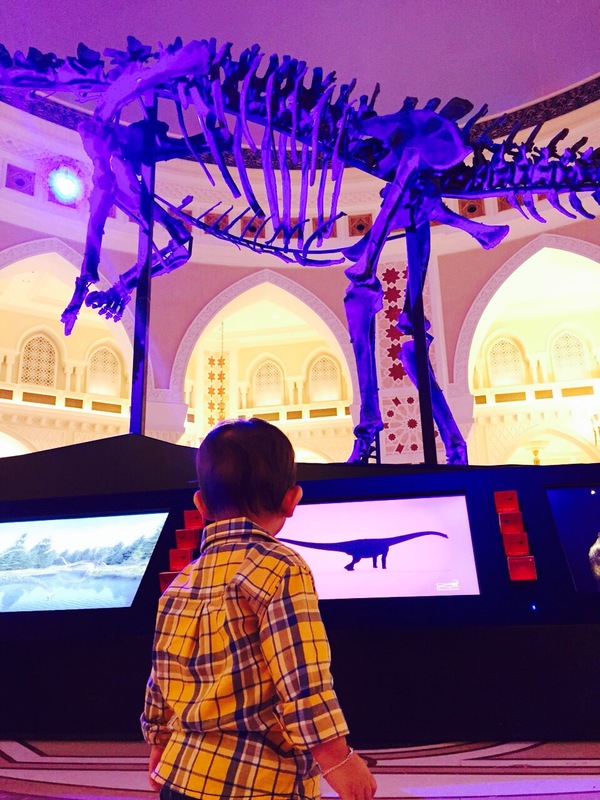 Baby Z gazing at the Dubai Dino, which seems to have been relocated from the Grand Atrium to The Souk. 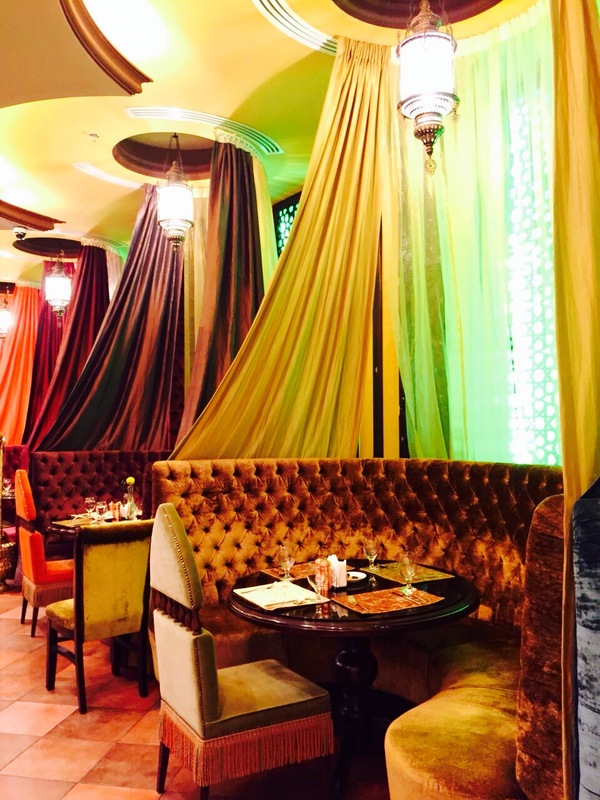 We were welcomed in by a lovely Middle Eastern gentleman who showed us to our table inside the restaurant, and I instantly fell in love with the ambiance that Times of Arabia had created. 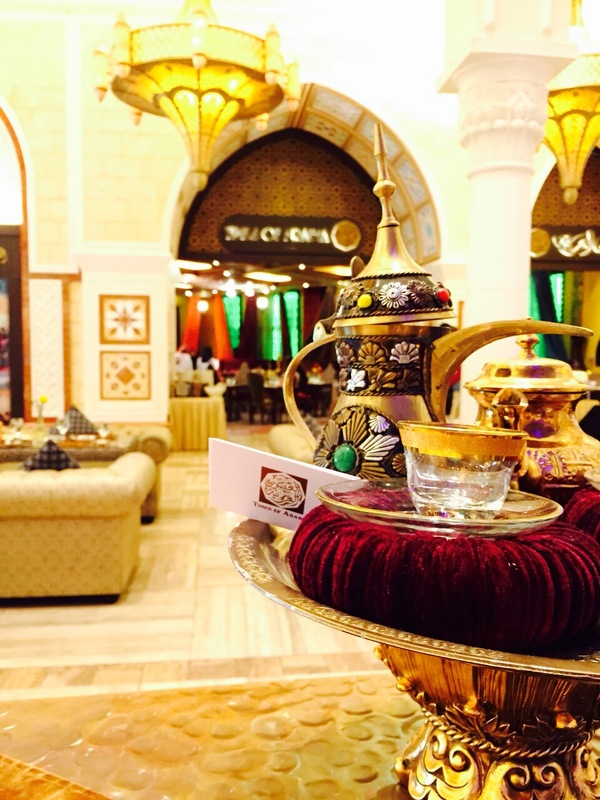 The lush decor at Times of Arabia was gorgeous. The velvety fabrics and exquisite geometric patterns transported us into another world. Since we arrived quite early, I preceded to take photos of the interior, the food and plenty of selfies too. I also decided to feed Baby Z the lentil soup, which he was gulping down one spoonful after another, so that when it came time to break our fast, Baby Z was already content. One hungry toddler can do a lot more damage than two hungry adults! The staff were kind enough to let me feed Baby Z even though it wasn’t Iftar yet, and eating in public places is technically prohibited (for adults) before then. 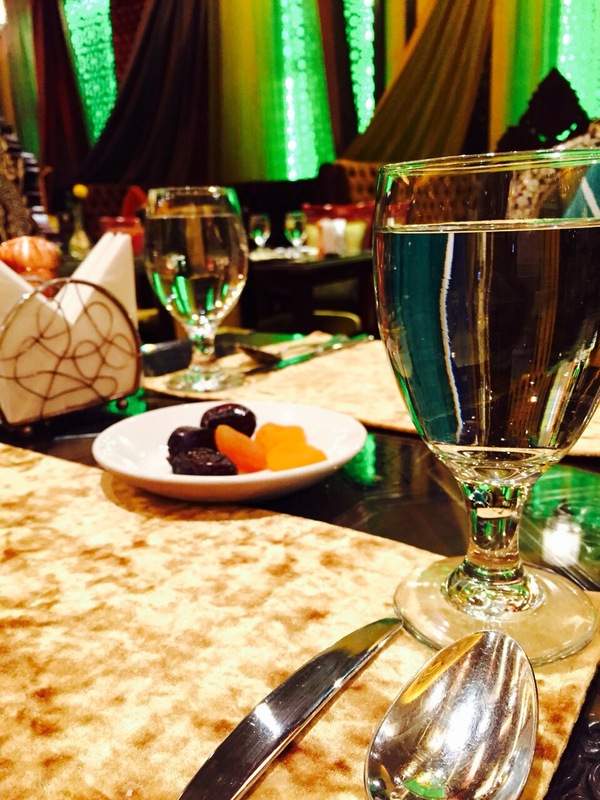 A glass of water and plate with dates and dried apricots awaited us on our tables. As the time for Iftar inched closer, Times of Arabia started to get rather crowded. I filled up a plate of starters that we could tuck into as soon as the Azan sounded. 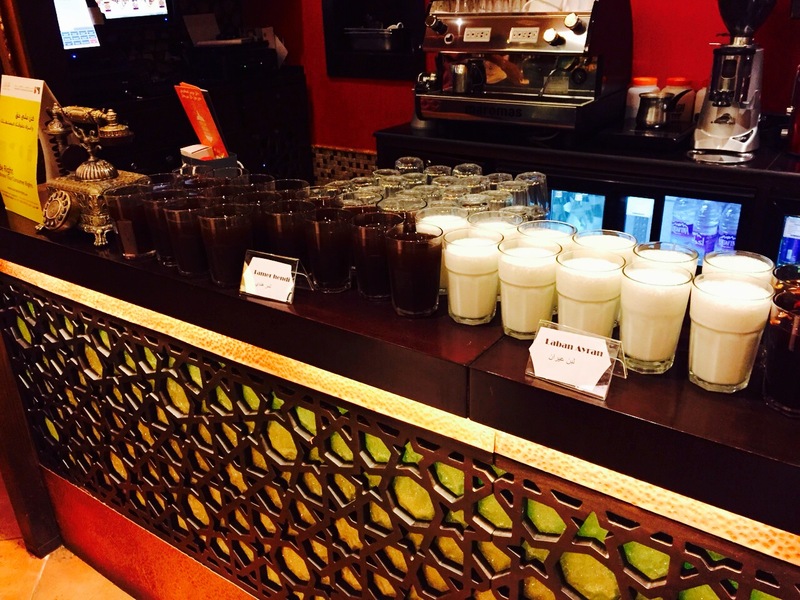 Mr Z brought us drinks from the Drinks Counter, which included the traditional rose water, the tamarind water “Tamer Hendi” and the sour milk “Laban Ayran”. The sweet and refreshing rose water was definitely my favourite, and I loved that it had chunks of pistachio in it too. There was no shortage of food, that’s for sure! 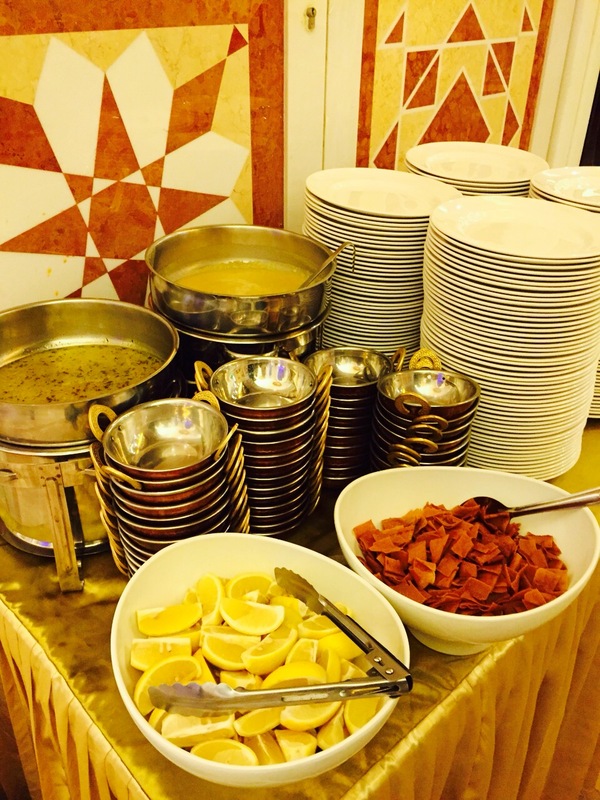 Each dish was traditionally Lebanese, which I loved. It was in no way altered to accommodate a more modern palette, which would have meant perhaps loosing a bit of it’s tradition and taste in the making, and therefore I fully approved. The food was tasty and flavorful, as well as being well presented. My only complaint was that the dishes were not labelled, and since I am not Lebanese, I had to mostly guess what the dish was or keep on pestering the staff for what the ingredients were. A few popular Lebanese dishes which I enjoyed were the Fattoush Salad, Stuffed Grape Leaves, kebabs and rice with lamb. The lamb was falling off the bone to perfection, and I devoured far more than I probably should have. 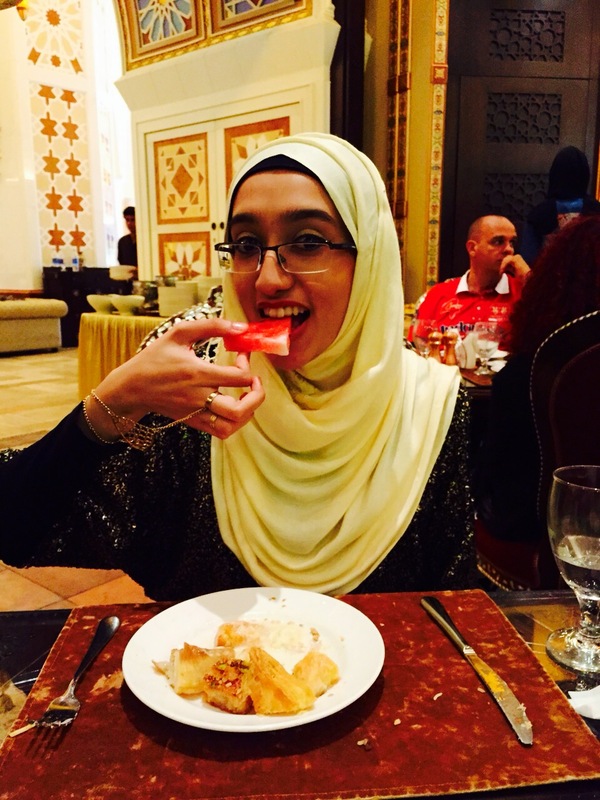 The desserts were once again in abundance, and though I piled my plate with Baklavas and other filo pastry sweets, I did enjoy the coolness of the watermelon a lot more. Overall, I had a splendid Iftar, and was far too full by the end. It’s a good thing we decided to trek the long way through Dubai Mall and back to our car so that we could burn off a few of the zillion calories that we had just consumed. 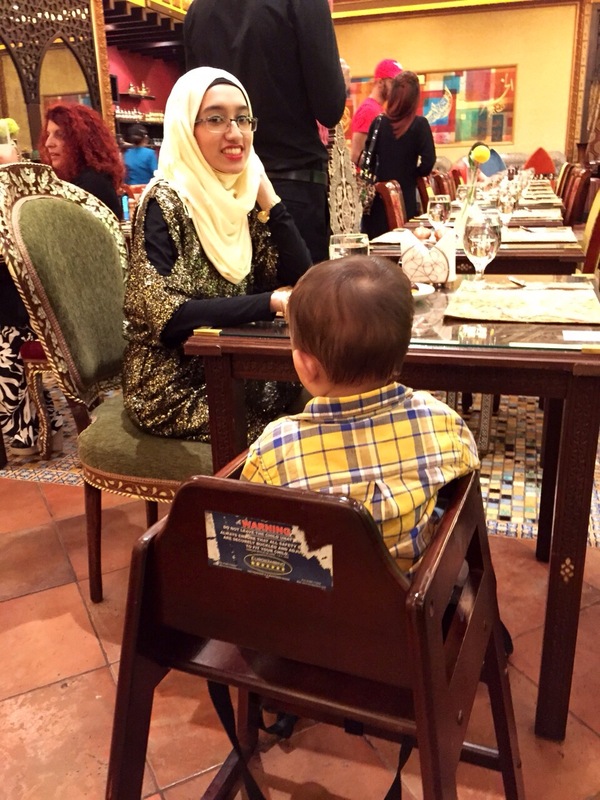 I had a lovely time at Times of Arabia and so did my husband and Baby Z. 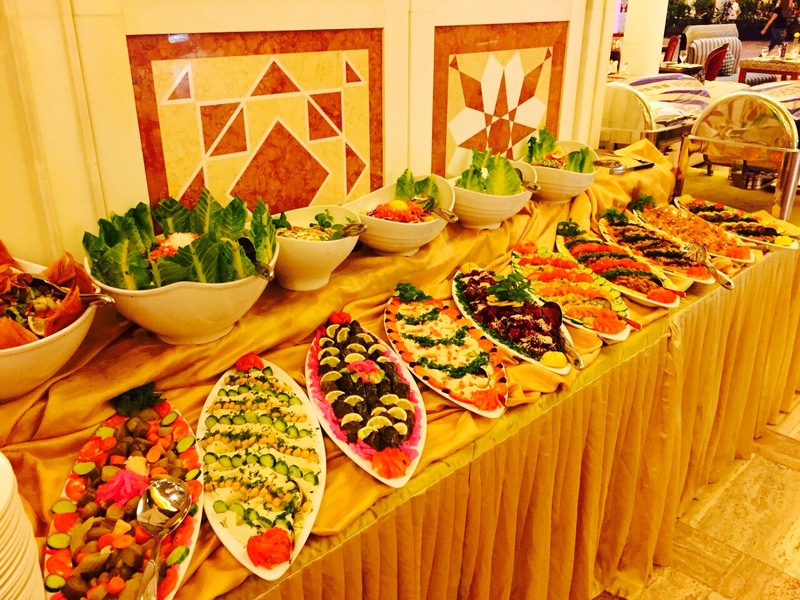 The Ramadan buffet is priced at 160 AED per person, and I would recommend it for anyone looking to experience traditional Lebanese cuisine, within a luxurious Arabic setting. The food is well worth the money if you enjoy the cuisine and are accustomed to their palette. For my family and I, it was a lovely Iftar indeed. Note: I was not asked or paid by Times of Arabia to carry out this review. 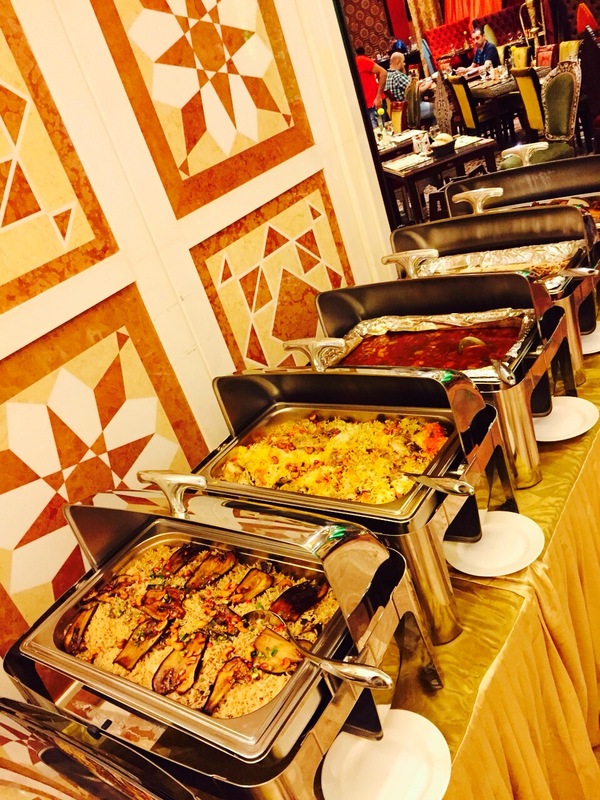 The Iftar buffet was paid for by my husband and I, and all photographs and opinions expressed in this post are my own. 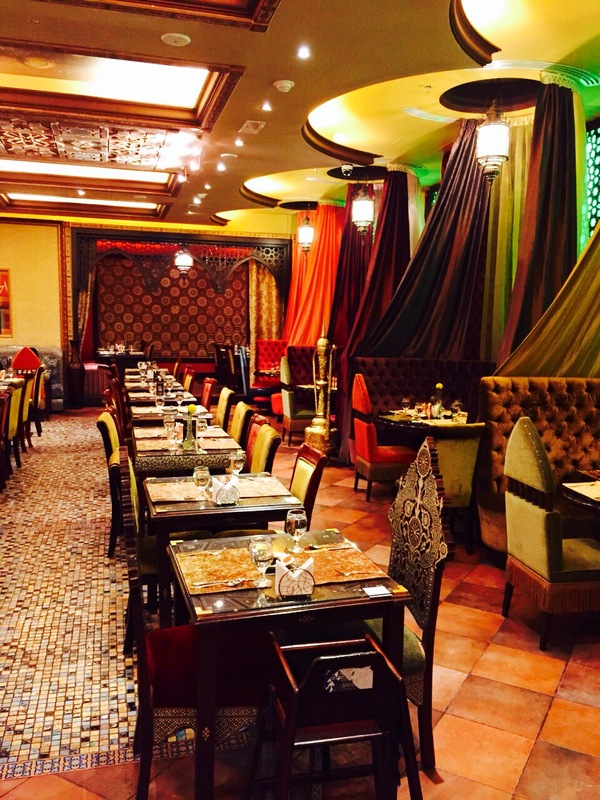 Have you been to Times of Arabia? What did you think of their cuisine? Please feel free to share your thoughts in comments section below! Haha oh no! If it’s any consolation, I felt the same since I was fasting whilst editing the photos and writing this post! Haha! 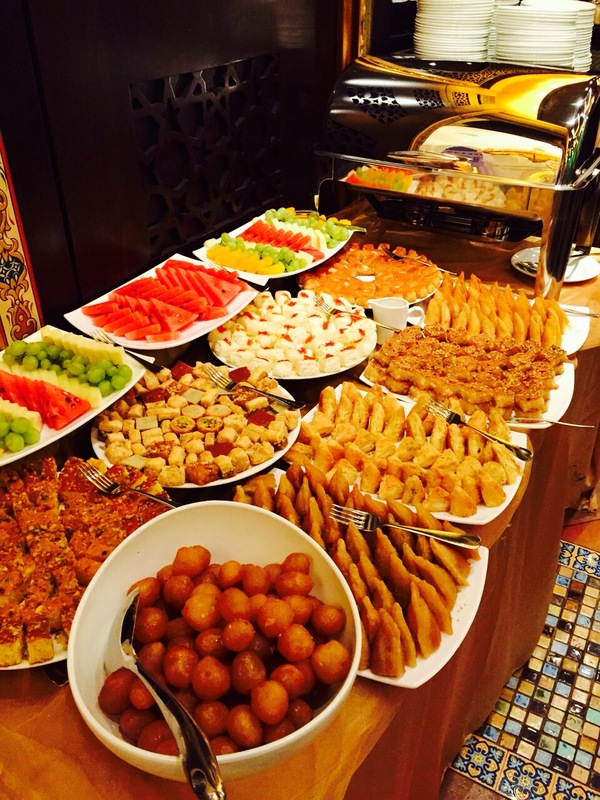 Hope you had a yummy iftar In sha Allah. ? Fasting is alhumdulillah not too hard and all, it’s the cooking you need to do while you can’t eat that kills you :p Now that I’m married and a mom I can appreciate everything my mother and grandmother do and easy they make it look! I totally agree with you there!! I was just thinking yesterday about how my mum manages to make all that delicious food for us whilst fasting! Especially getting the salt and spices just right! !